Most of the older homes have an overhead service connection. The primary power comes from the utility company's power lines via a transformer mounted on the power pole. The line is called a service drop and is to be a minimum of 12 feet above a driveway. The point of attachment to a house's service connection should be a minimum of 10 feet above the ground. The service drop is connected to the electrical service entrance wires via a service usually attached to the side of your house. 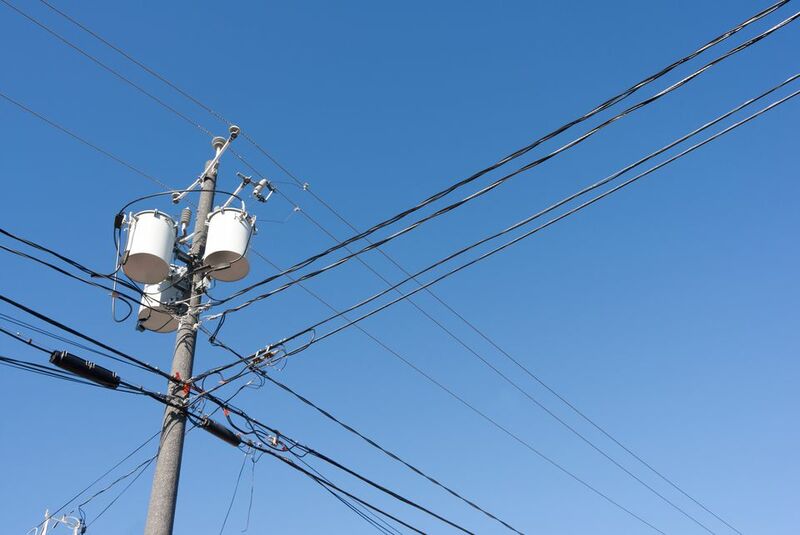 The service components consist of an electric meter that is attached to a pipe with a weathered that holds the electrical wires that make the connection to the utility company's wires. This is the point where the wires should be connected with a drip loop connection to keep unwanted water from the electrical connections. An electrical service drip loop is a loop formed on the incoming feeder wires of your electrical service, before the meter. The overhead wires come to your service pole via the utility company. Out of the weather head on your service, you have three wires to connect to their wires. These wires should be left long enough to make a half-moon shape or a smiley face as it is. Drip loops can also be used for any type of wiring, both power lines, and low voltage lines as well. Pretty much anywhere there is a possibility of water flowing down the line into something it's not supposed to be a great place for a drip loop. The reason for having a drip loop on an electrical service is to allow any rain or moisture, that may make contact with the wires, a place to go away from the weather head and the electrical connection to the utility company's wires. Water or moisture running down the service pipe or running into electrical connection points would spell costly repairs for you in the future. Its purpose is to channel the water away from any connections, boxes, or equipment. By diverting the water to a safe location, say halfway between the power poles, it can safely drop to the ground without damaging anything. This drip point is accomplished by hanging the wire lower at some point and it becomes the last place the water travels before falling off of the wire or dripping. What if I Don't Have Drip Loops On My Wires? In the unfortunate event that you are without drip loops on your service wiring, a simple phone call to the utility company, explaining the situation may rectify the situation, causing the power crews to come to your home to fix the problem. Just because not having the drip loops hasn't caused problems with the wiring so far, doesn't mean it won't become an issue in the future. Be proactive and get the crews out to fix the problem now, not when you are actually having problems with the electrical service. How Much Wire Do I Leave For a Drip Loop? The question of the appropriate amount of electrical wire to be left for the electrical service connection is often brought up. How is one to know the amount of wire to leave, without being too short or being wasteful with expensive wire? That's a great question and I'll try to explain a simple rule of thumb on the matter. If you plan on leaving a foot or two of wire for a regular connection, allow double that amount for a drip loop. You see, since you are going down with the wire then back up, leaving the wire in the shape of a smiley face. it requires about twice as much wire. So play it safe and leave between 2 - 4 feet of wire stick out, unless the utility company's lineman tells you otherwise. Freshwater Aquarium guide, Shirlie Sharpe, explains how to and not to drape your electrical cords to an outlet. This insightful article deals with indoor drip loops when connecting electrical devices to an outlet from an aquarium.